It is easy to install a new operating system if you’ve got one already installed on your machine. You can install the new OS with the Reset option available in Microsoft Windows 8 and above. However, bootable media devices allow you to install an operating system even if you don’t have any running/working operating system on machine. CDs/DVDs were the foremost medium to create a bootable disc, however, they’ve now been disregarded due to sudden technological changes and advancements. Today you have various tools that help you create a bootable media USB for Windows operating system. 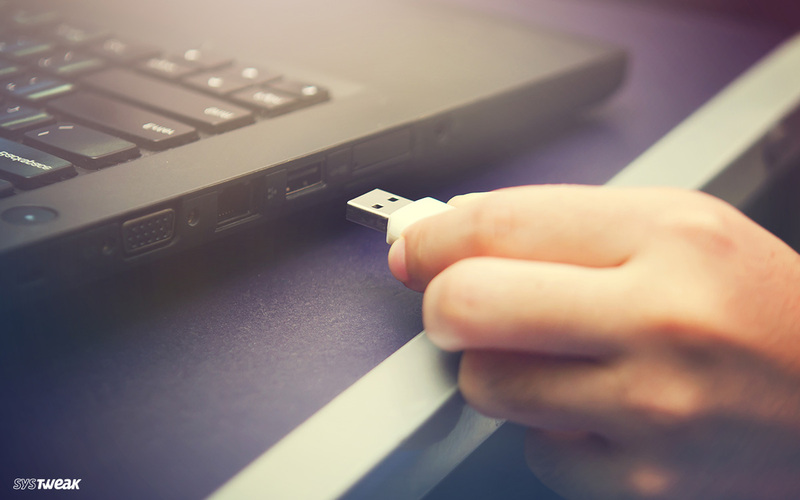 In this blog, we’re going to shed some light on the 5 best bootable USB tools for Windows operating system. When you need a quick plug-and-play bootable USB, WinToUsb comes to your rescue. The tool provides you with a user-friendly interface that lets you create Windows To Go directly from ESD, ISO, SWM, WIM, VHD, VHDX image file or CD/DVD drive. What makes WinToUsb as one of the best bootable USB tools is its ability to create a bootable Windows PE USB drive that lets you transfer contents of a Windows PE image to a USB drive and make the USB drive bootable. With WinToUsb Professional and Enterprise version, you get a free technical support, where the technician helps you with your query then and there. Rufus is one of the best bootable USB tool available that makes your bootable USB pen drive creation effective. It allows you to create bootable USB media for both MBR and GPT schemes that makes it more convenient. With Rufus, you’re provided with the feature to install your desired operating system on a UEFI firmware enabled system. Another best thing about Rufus is that it can be used on any ISO file and takes very less time in creating a bootable USB drive. Universal USB Installer is one of the easiest way to create a bootable USB drive. The tool also lets you create a live USB for Linux distros. Although it doesn’t provide you with an automatic download option but offers you the link to access the download page of distro. Universal USB Installer is also popular for supporting some extra ISOs too. If you’re looking for something authentic, Windows 7 USB/DVD Download Tool is a product from Microsoft that works for other versions of Windows too. This tool is placed highest when it comes to usability as it just requires a few clicks if you have the USB drive and the ISO file. WinSetupFromUSB is another great bootable USB tool that comes handy when you wish to install a new operating system. The key advantage of this tool is that it allows you to put multiple ISO files in one USB drive and creates a multiboot flash drive. This way, you should have a choice of multiple operating system at the time of the installation. Overall, there are a number of the Best Bootable USB Tools For Windows operating system that you can use to create one for your machine. However, every tool has its own benefit and advantage that is favoured by the needs of users. You can select any one of the above tools to create your own bootable USB and install your desired operating system.